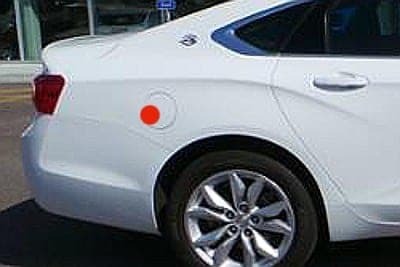 The fuel door on the Chevy Impala functions a bit differently than on most vehicles. The vehicle doesn’t have a fuel door release lever or button. To open the fuel door, simply exit the vehicle and press the fuel door inward. It will spring right open, allowing you to access the gas cap. Thanks for the information. I was looking all over for the fuel tank release button or lever. Thanks again.